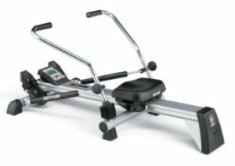 The Tunturi R25 Competence Rower is touted by the company as Tunturi’s entry level rowing machine for in-home use. Its slim profile and folding frame mean you can use it almost anywhere. The 5.5” LCD screen displays the essentials, including time, speed, distance, energy exerted and heart rate. Monorail seating and manual adjustment keep things simple. UPDATE: As of 2016 the R25 is no longer available. Check out the latest Tunturi rower lineup here. Individuals who buy the Tunturi R25 agree that it is basically an entry-level rowing machine with good bones and sturdy parts. 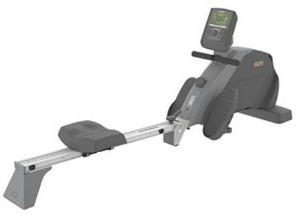 For the most part, they are happy with the results they get as beginners, but more seasoned users note that there are other rowers available at this price point (it retails for $899) that are made in America or have more features. User reviews from satisfied customers say they like the sleek, minimalist design which is typical of Finnish design. The 300 pound maximum user weight is also a positive for most users, who note that it is easy to adjust the tension on the Tunturi R25 Competence Rower for various users. Users who were more advanced in their workout routines complained in reviews that they couldn’t adjust the resistance enough to really challenge themselves. The Tunturi R25 is definitely an entry level rower. With a price tag of $899, it doesn’t compete well against other machines by American manufacturers. This is due at least in part to the cost of shipping these machines to the U.S. While the magnetic resistance is extremely smooth, you can find machines just as smooth at this $899 price point and get more features. If you’ve been using rowing machines for a time or are in good shape from cross training, the R25 doesn’t have sufficient resistance to push the envelope. With three basic programs and a rather old-school, monochrome LCD console that runs on batteries, it feels like you’re getting a stodgy, old-fashioned machine. 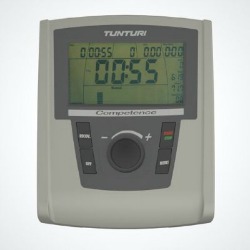 Since it’s difficult to find Tunturi rowers in the U.S., we suggest you by-pass the Tunturi R25 Competence Rower. There’s no need to take on the headache of overseas customer service down the road when you can simply buy a reliable machine with better service here in the U.S.